Merieme Chadid is considered as the first astronomer in the world to have been committed to install a large astronomical observatory in Antarctica. She was the first to place an Arab flag (Moroccan) at the South Pole. She is also one of the first pioneering astronomers to install VLT telescopes in the Atacama Desert in Chile, the driest desert in the world. Merieme Chadid was decorated “grade officier” Wissam El Alaoui by His Majesty the King of Morocco. She was honored by the World Economic Forum as Young Global Leader and by the MY HERO project. She was listed as one of the 30 most fascinating workers in the world by Forbes Magazine. Merieme Chadid received her PhD in Astronomy and Space from Paul Sabatier University and completed several executive education programs at Harvard University. Her research fields are focused on stellar and universe evolution. Her scientific discoveries are published in numerous international reviews and books. She gives lectures and supervises PhD students. CHAN Chun Ho Kevin is the Deputy General Manager of the Royal Hotel Group of Macau. Kevin is very active in various business, cultural and consultative organizations: he is the President of the General Assembly of Macau Hotel Association, the Vice President of Macau Hoteliers & Innkeepers Association, Macau Textile Merchants Association and Macau Youth Federation. He is also the Senior Vice President of the Association of Returned Overseas Chinese Macau. He is the Chairman of the supervisory committee of Macau ASEAN International Chamber of Commerce; he is the Director of Macau Chamber of Commerce. He is also a panel member of Macau SAR Government Community Service Consultation Committee, and an Executive Member of the Hebei Provincial Committee of CPPCC and of Qingdao Municipal Committee of CPPCC. Kevin is a member of the All-China Youth Federation. He graduated from Central Michigan University in 1998, majoring in Master of Science in Administration; in addition, he holds a Computer Science degree of the University of California at Berkeley. He also graduated from Nortfield Mount Hermon School, Massachusetts in 1992. 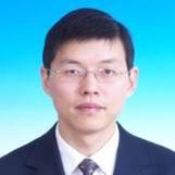 Dr. Chen received all his degrees in finance from Renmin University of China (BA in 2000, MA in 2003 and PhD in 2006). He was a visiting scholar in Georgetown University in 2009. Included in his work experience are: 9 years as a professor in the Party School of the Central Committee of the CPC in Beijing, focusing on finance and economics, one year in the State Foreign Experts Bureau, and one year as the vice-mayor of Fuqing, a city in Fujian province. Aside from his professional endeavors, Prof. Chen is a member of the Youth Federation, and has been conferred with the title of Young Global Leader by the World Economic Forum. Chen Yue received a Bachelor’s degree in English from Beijing Foreign Studies University in 2000. Chen Yue has been working as a diplomat all along. Included in her work experience are 5 years in the Department of Press Affairs of the MFA and 3 years in the Chinese Consulate in Los Angeles as Vice Consul. Now, Chen is working in the Department of Policy Planning of the MFA. Olivier Chouvet is an entrepreneur at large. He founded and co-founded several companies in Shanghai, Tokyo, Hong Kong, and Paris. He oversees 600 professionals in Asia through twelve active businesses. 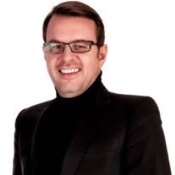 Olivier Chouvet is the Co-founder of Glamour Sales, the leading authorized luxury flash sales website in Asia. The company works officially and directly with over 1,000 international luxury, fashion and lifestyle brands and has gained over 3.5 million members, across 1,100 cities. His first experience in Asia began in 2000 when he co-founded Emotion (followed by K2) in Japan in 2002. K2 is an event management company, which has become the most comprehensive agency for high-end events throughout Tokyo, Shanghai, Beijing, Hong Kong and Seoul. Olivier Chouvet co-founded Naco Architectures China, followed by SuperPress and Superbla. The agencies cover different areas of expertise from design to public relations and digital marketing, and operate as one powerful integrated marketing and communication network in China. Marc Frappier joined the Eurazeo investment team in 2006. At Eurazeo, he participated in the investment or in the oversight of Accor/Edenred, APCOA, Elis, Foncia and Rexel investments. He began his career in 1996 as a financial auditor with Deloitte & Touche in Paris and New York. From 1999 to 2006, he worked for The Boston Consulting Group (BCG) in Paris and Singapore, where he participated in numerous strategy and operational effectiveness assignments in the industrial goods and services sector, energy, as well as the media and telecommunication sector. Marc Frappier graduated from EMN (Ingénieur Civil des Mines). Mathieu Gallet graduated from IEP Bordeaux and holds a DEA in economic analysis of public decisions from the University of Paris I Panthéon- Sorbonne. He began his career as Assistant director of marketing and international promotion at EratoDisques in 1999, and became head of the adm for the real estate sales department of Pathé in 2000. He joined Canal Plus in 2001, first as controller at Studio Canal and then as project manager for institutional relations group. In 2006, Mathieu Gallet was appointed technical advisor for Audiovisual and New Technologies beside François Loos, Minister of Industry. From 2007 to 2009, he was technical advisor for the audiovisual and media staff of Christine Albanel, Minister of Culture and Communication. In 2009, he became Deputy Chief of Staff of Frédéric Mitterrand’s cabinet, Minister of Culture and Communication. In 2010, Mathieu Gallet became the CEO of the National Audiovisual Institute (INA). In 2014, he was elected to the Presidency of Radio France. In 2018, he created Majelan, a platform dedicated to podcasts. From 1999 to 2001, Zhenzhi served as Deputy Director of the Enterprise Management Department of Fanghang Town, Hanjiang District, Yangzhou City, Jiangsu Province. From 2001 to 2003, he was the Deputy Director and the Director of the Investment Promotion Bureau of Hanjiang District, Yangzhou City. From 2003 to 2005, he was the Deputy Director of Hanjiang District Government Office, Yangzhou City, and from 2005 to 2006, he was the Executive Chief of Guazhou Township Government, Hanjiang District. 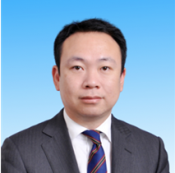 From 2006 to 2008, Zhenhzi served as Deputy Director of the Administrative Committee of Yangzhou Economic Development Zone. Then, from 2008 to 2011, he was the Vice Secretary of Yangzhou Municipal People’s Government, and from 2011 to 2012, the Deputy Director of Yangzhou Economic Development Zone. Since 2012, Zhenzhi is the Mayor of Hanjiang District People’s Government, Yangzhou City. Minister of State for Local Government since February 2016, Estelle Grelier had been a member of Parliament for Seine-Maritime since June 2012, and the President of the “Automotive” sector of the Parliament. She is also the secretary of the Committee on European Affairs and a member of the Foreign Affairs Committee. 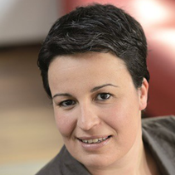 The Vice President of France’s Assembly of communities (AdCF), Estelle is also the national secretary of the Socialist Party (PS), in charge of the “social justice and territorial cohesion” sector. Previously, Estelle was a member of the European parliament from 2009 to 2012, and serves on the Budget Committee. From 2001 to 2014, she was the First Deputy Mayor of the City and the President of the Community of Municipalities of Fécamp. From 2004 to 2009, Estelle was the Vice President of the Haute-Normandie region, in charge of education. Estelle chaired the management center for the public territorial service in Seine-Maritime from 2008 to 2014. Then, she was elected President of the Administration Council of Business France in July 2015, working as an unpaid volunteer in the name of the National Assembly. Estelle graduated from the Institut d’Etudes Politiques in Grenoble and the University of Strasbourg (obtaining a DESS in European institutions and Franco-German relations). Jun He studied in Utah State University (USU) from 1992 to 1994, and then went to the Gemological Institute of America. Back in China, he became chairman of the Gemological Institute of Zhejiang. He is a member of the Standing Committee of Zhejiang Province Youth Federation, an Executive member of the Zhejiang Province Federation of Industry and Commerce, Vice President of the Hangzhou General Chamber of Commerce, President of Hangzhou Chamber of Commerce of Jewelry & Watch industry. Jun He devotes himself into public welfare with the motto “Live a Smart and Interesting Life with Devotion to Public Welfare and Assistance”. Since April 2014, he plays a new role as chairman of Zhejiang Ram-union Public Welfare and Rescue Promotion Association. As the founder of the Ram-union, he has led the group to participate in all kinds of rescue operations such as earthquakes and mishaps that happened in Wenchuan, Ya’an or Yushu, which make him famous among charitable rescue NGOs. Before graduating in 2012 from Cheung Kong Graduate School of Business with an EMBA, Casey attended the University of International Business and Economics of Law, where she obtained an LLM. Her first graduation was from Shanghai Finance Institute majoring in International Finance. 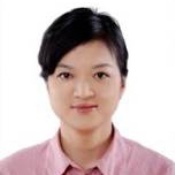 She is the President of JRSY Investment Company Ltd, specialized in new energy, environment and agricultural fertilizer. She is also the General partner of ALEF Mountain Capital Partners (together with general partners from France and USA having PE by venturing advanced technology of Israel developed in China). She also works as a Senior Advisor of important French Companies to find financial partners and to develop their business in China. From 1996-2002, she served as a key member of BASF Group for the negotiation of an important mega integrated petro-chemical site projects in China. Casey is also actively participating in Chinese political activities by proposing consultative opinions especially in the field of environment and urban construction. Andy Wing-Leung Kwok has been an executive director and chairman of the Board of Hong Kong NuBrands Group Holdings Co., Ltd since September 2005, and resigned as chairman of the Board but remained as an executive director of the Company since April 2009. He has over 10 years of local and overseas financial and general management experience and has experience in the trading business in the People’s Republic of China. He is a member of the Hong Kong Institute of Certified Public Accountants and a member of CPA Australia. He is the sole director and beneficial owner of Billion Pacific Ventures Limited, a substantial shareholder of the Company. He is also the independent non-executive director of AGTech Holdings Limited which shares are listed in the Growth Enterprise Market of the Hong Kong Stock Exchange. 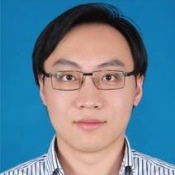 Andy holds a Master degree in Business Administration from Tsinghua University and a Bachelor degree in Economics from the University of Sydney. He is a Member of the Standing Committee of Hangzhou Chinese People’s Political Consultative Conference, a Member of the Standing Committee and Minister of the Organization Department of Tonglu County Party Committee, and the Director of the Working Committee for the Care of Children of Tonglu County. LI Zhongyu was born in Changshan, Zhejiang province. Alexandre Malsch is the co-founder and CEO of meltygroup. He is heading a global media group, composed of 14 thematic websites in France (melty.fr, meltyFashion, meltyStyle, meltyBuzz, meltyFood, meltyCampus, meltyXtrem, meltyDiscovery, Fan2.fr, june.fr, mcm.fr, virginradio.fr, neonmag.fr, airofmelty.com) and also present in Italy, Spain, Brazil, Germany, Poland, Czech Republic and Morocco with local versions. The group gathers every month more than 26 million visits worldwide covering 27 countries, and has established itself as the 1st web media group among 18-to-30 and 12-to-17-years-old. Alexandre Malsch is driven by his passion for the Internet, but also by his hunger for entrepreneurship. From the beginning of the meltygroup adventure, he managed to convince major institutional and private investors to support him. These investors support him today in order to develop meltygroup in its new projects, but also on an international scale. Alexandre Malsch has been elected as vice-president of the French Digital Council, in charge of start-up and entrepreneurship. In 2013, he ranked 1st at the “Festival des Entrepreneurs” in Méribel (category “Young? So what?”) and in L’Opinion’s ranking about “Those who make the opinion”, in the “actors” category. Pascaline Michault is an officer (rank: Commandant) of the Air Force. She graduated from the School of the Air in 2003. She was first assigned to a squadron of air defense where she was responsible for the training of fighter pilots in the field of military aviation technology. From 2005 to 2008, she joined the center of planning and operations conduct in Paris, where she was involved in several cell crises (evacuation of French nationals in countries at war, piracy, etc.) and where she was responsible for the follow-up of the French military air contribution to the International Security Assistance Force (ISAF) in Afghanistan. Since 2011, Pascaline Michault is assigned to the Army Staff as a desk officer working on bilateral military relations between France and countries in South Asia. Pascaline Michault also conducted an external operation in Chad in 2004 and participated in several military joint exercises. Pascaline Michault also graduated from Sciences Po Paris and INALCO. Franck Riester is the current French Minister of Culture. He was a member of the National Assembly of France from 2007 to 2018. He represented the Seine-et-Marne department. He was also the mayor of Coulommiers and the President of the “Municipalities Community” of Coulommiers area. As a member of the Commission of Cultural Affairs and Education of the National Assembly, he focused particularly on issues related to culture, media and new technologies. He has been a member of the Copé Commission on the reform of public broadcasting in 2008, Rapporteur of the Hadopi law in 2009, and co-author in 2011 of a report on “Music Creation and diversity in the digital age” that advocates the creation of a National Centre for Music. In February 2010 and September 2011, he has also made proposals to improve administrative services on the Internet, in two reports about the improvement of the digital relationship for the user. Franck Riester is also an entrepreneur and, as such, runs several car dealerships. Franck Riester graduated from the Institut Supérieur de Gestion (ISG) and holds a Master from ESSEC in the management of territorial communities. RUAN Hao is the founder of LYCS Architecture Inc, a member of the Zhejiang Province Youth Federation. He earned a Master of Architecture at Princeton University and Tsinghua University, and a Bachelor of Architecture at Tsinghua University. He has been a Visiting Fellow of Harvard University and he is also Visiting Lecturer and Undergrad Thesis instructor of the School of Architecture of China Academy of Art. He’s made great achievements in his field: he won the Young Architects Award of the Chinese Institute of Architects, the 2013 Chinese Architect and Art “Young Architects Award”, the 2012 Canadian Azure Award for the Best Architecture & Design, the American 2010 Pioneer Architecture Award… In 2014, his projects “CATable” and “Learning from Ants” are exhibited in Milan Design Week. It was the first time a Chinese designer exhibited in the Milan University corner, which is the central exhibition hall of Milan Design Week. Laurent VALLEE is currently the Secretary General of Carrefour since 2017. He graduated from ESSEC, Sciences Po and ENA. He began his career as Master of requests to the French Council of State where he served as Commissioner of the Government and Constitutional Advisor to the Secretary General of the Government. From 2008 to 2010 he was a lawyer at Clifford Chance, and in 2010, he became Director of Civil Affairs and Justice to the Ministry of Justice. Laurent Vallée joined Canal + Group in April 2013 as Secretary General. From 2015 to 2017 he was the Secretary General of the French Constitutional Council. Laurent Vallée was also a Member of the Board of Directors of the Football League. 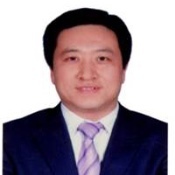 Yang Hua is a member of the CPC, the Vice president of Zhejiang Academy of Agricultural Sciences, and a specialist in the field of quality and safety of the food and agricultural products. He studied in Zhejiang Agriculture University from 1989 to 1992 and later gained a master degree in the College of Animal Sciences of Zhejiang University. From 2011 to 2012, he participated in the tenth USA public management master class organized by the Organization Department of Zhejiang provincial Party Committee. He won the second prize in Sciences of Zhejiang province, the second prize in Technology of the Department of agriculture of Zhejiang Province, the third prize in Sciences of Hangzhou City. Zhang Lizhong is a Councillor of Asia Department for the Ministry of Foreign Affairs of the People’s Republic China (MFA). He earned his Bachelor Degree at Beijing Foreign Studies University and his Master degree of International Policy and Practice at Elliot School of International Relations of George Washington University. After graduation, he joined Chinese diplomatic service 23 years ago. He spent most of his time at the Information Department of the MFA. His first post abroad was at the Consulate General of the PRC in San Francisco and the latest one at the Consulate General of the PRC in Calcutta as Consul General. Assigned to Tibet Autonomous Region as Deputy Director General during three years (2007-2010), he is now Councillor of Asia Department for the MFA. Christina Meng ZHANG holds a Ph. D. degree in Linguistics and Neuroscience. She is the Founder & CEO for the Alliance for Global Youth Leadership, and member of the World Economic Forum Global Shaper. Christina has served as Olympic Torch Bearer in the 2008 Beijing Olympics and has been awarded “Top Ten Capital Educational News Figures” (2009), Young Thinker of “Educational Pioneers” by Phoenix News (2013), and the guest speaker of the Youth Leader Round Table of BOAO Forum for Asia (2014). Christina also is a member of the Musicians’ Association of Beijing City, the Writer’s Association of Liaoning Province, and the founder of Cross-Strait Youth Leadership of Employment and Entrepreneurship Training Program. Zhang Zhenyu is the Deputy Secretary of the Communist Party of China at Yizheng Municipal Committee and the Mayor of Yizheng City, a county-level city under the jurisdiction of Yangzhou Prefecture City, Jiangsu Province. From July 2007 to October 2010, he took the position of Secretary of Yangzhou Municipal Committee of the Communist Youth League. Meanwhile he attended the 4th Leaders’ International Knowledge Training Course from April 2007 to January 2008; and he also studied at a Master Program at Maryland University in the USA from March 2009 to March 2010. From October 2010 to November 2011, he was a member of the Standing Committee of the CPC at Guangling District in Yangzhou city, and he also served as the Executive Deputy Chief of Yangzhou Guangling District Government. He has been the Deputy Secretary of the CPC Yizheng Municipal Committee since November 2011.